Anytime you go out you see wonderful things. For instance, today when I was walking I had a deer jump out and cross in front of me. There are so many ways to get out. One of the ways is on a dirt bike. Dirt bikes are fun. They can pretty much go anywhere. You can ride down country roads. Then if you want a change of scenery you can take off riding into the woods up and down trails. So pack your motorcycle saddlebags and have fun. See something wonderful. The weather is starting to get warm. Everybody is thinking of the outdoors. Here is a nice barrel bag to have for the outdoors. If you are thinking of going to the beach, you could put water bottles, towels, snacks, a good book to read and a change of clothes in it. It will fit on your bike, scooter or in your car. Put it over your shoulder using the wide shoulder strap and carry it with you. With the small pockets you have a place for your keys for safety. Finding the right motorcycle saddlebag for your bike is very important. Having the right look to compliment the bike. Making sure the bag suits the way you ride. It has plenty of room to carry what you want, when you want. You might also consider easy installation on and off, so if you don’t need the bags you can take them off. Another important factor you should consider is the fit. Having the right measurements, length width and height. Now you have the perfect fit. Whenever you go riding, you want to make sure you are prepared. Having the right gear with you makes it easier to stay warm when the temperature changes. Or if it gets too warm take stuff off. 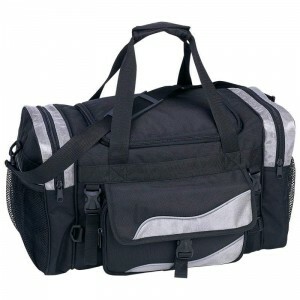 If you don’t have a bag, you need to have something with you to secure your stuff. How about a motorcycle tool bag to keep your bungee cords in? It is small and can easily be installed on the front or back of your bike. Have you ever been in a position when you really need so time to just get away? That being home is just not enough. I get that way sometimes. We all do. And it is not always easy either. I make sure I keep my motorcycle barrel bag packed for just a time. That way when the opportunity presents itself I am ready to go. I have everything I need to reflect without any outside influences. Just what is inside of me. Here is something to add to your motorcycle luggage. You want to be comfortable. How? In your favorite jeans of course. But it is a little cool outside and you want to go for a ride. It is still leather time. So why not have the leather and denim together. But jeans and chaps sometimes are too bulky. There is a solution. These pants have the look of jeans with the pockets and belt loops but they are made of leather. Be comfortable and ride. I don’t know about you, but I really love going to the mountains. There is so much to see. Whether you ride there,on a bike, in a car or RV. Then you decide to camp and take time to hike while you are there. You should always have something to carry everything with you. 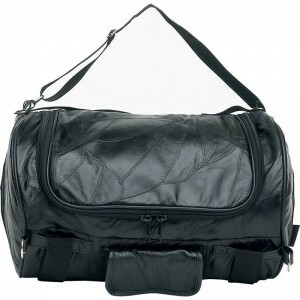 Here is a sissy bar bag that you can carry with you on the bike or in your vehicle or have it in your RV. Then have it with you when you go on a hike.